Imagine an agricultural college, it’s a green space surrounded by fields with a variety of crops being grown. You come to the administration area and there’s people coming and going. Farmers are coming on campus to learn and participate in demonstrations. Students are going off campus to gain practical experience in extension and agriculture through creative internal attachment programs and opportunities to work with local farming communities before they graduate. Commercial farming on campus allows for income generation, providing financial support for colleges to improve their facilities and provide exciting field trips and other practical learning opportunities that require funding. Students are gaining practical skills in technical agriculture, non traditional agriculture, extension, business, and IT. They’re also developing soft skills like presentation and communications skills, creativity, critical thinking and problem solving. There is a variety of levels of education from short courses to degrees ongoing. This is a picture of an institution that is highly connected to the agricultural system locally and nationally. An institution that is contributing to the norms and standards of agriculture and extension. That is providing new information, testing innovations and developing research that is supporting agricultural development. This is AgEx’s vision for our work with Ghana’s agricultural colleges. AgEx supports the capacity of Ghana’s agricultural colleges to be centres of innovation, to enable greater testing and showcasing of high-quality, farmer-focused agricultural approaches, technologies and information. In order to address the evolving needs of the agricultural sector in Ghana, Kwadaso Agricultural College and EWB designed a new type of Internal Attachment Program to build the knowledge, skills and attitudes necessary for graduates to succeed as agricultural professionals. The 2013 Internal Attachment Program gave students practical experience in farming, extension, problem-solving, and innovation through a partnership project with five nearby communities. The program included a week-long rural immersion for students, opportunities to apply program planning and problem-solving skills, practical experience in both farming and extension, and culminated in group presentations to farming communities on solutions to identified agricultural problems. Through the A&E Project, students gain practical business and entrepreneurial skills through developing and running their own agribusiness. EWB continues to be invested in the success of the Agriculture & Entrepreneurship (A&E) course which offers students experiential business skill development. EWB staff, Keena Trowell, recently conducted a monitoring and evaluation of the A&E project as well as a tracer study of Kwadaso graduates from 2009-2011. Her key findings identified some challenges of the A&E project (loss of momentum, limited resources), and also that students gained secondary skills through doing the A&E project (such as computer skills). She presented her findings and recommendations during a 2-day conference of the A&E Fellowship in August, 2013. During the conference, Fellowship lecturers discussed various ways to implement the report’s recommendations. In particular, they identified ways to involve the wider community in the project by going off-campus. AgEx’s role is to work with the executive committee to facilitate these projects. We are helping to catalyse organizational change through these priority areas in order to support staff in achieving the vision that we started with above. EWB has been supporting a focus on gender in extension education across the colleges. Staff members from Pong Tamale, Kwadaso, and Damango Agricultural Colleges have been involved in the Gender Action Fellowship (GAF) designed and run by EWB staff, Erin Aylward. The GAF has acted as a venue for discussing gender issues in agriculture, and supporting fellowship members to create their own gender-oriented projects at their institutions. Through the support of the Fellowship, Jacob Antwi-Baidoo, Theresa Saah and Joyce Afeke created a program for first year students to visit a nearby community and give a presentation on the importance of being gender-sensitive when raising children. Additionally, Theresa Saah and Joyce Afeke have been working with EWB staff Erin Langor to revise the Gender, Health and Agricultural Development course. Mr. Nicholas Narh from Ohawu joined the Kwadaso lecturers on August 8 for a day-long workshop where they began collaborating and sharing resources for the course. Students learning from innovative farmers in the field. During the 2013 Internal Attachment Period, EWB staff Diana Gresku worked with Bright Akoto and other EAC staff to improve the on-campus practical curriculum and structure. 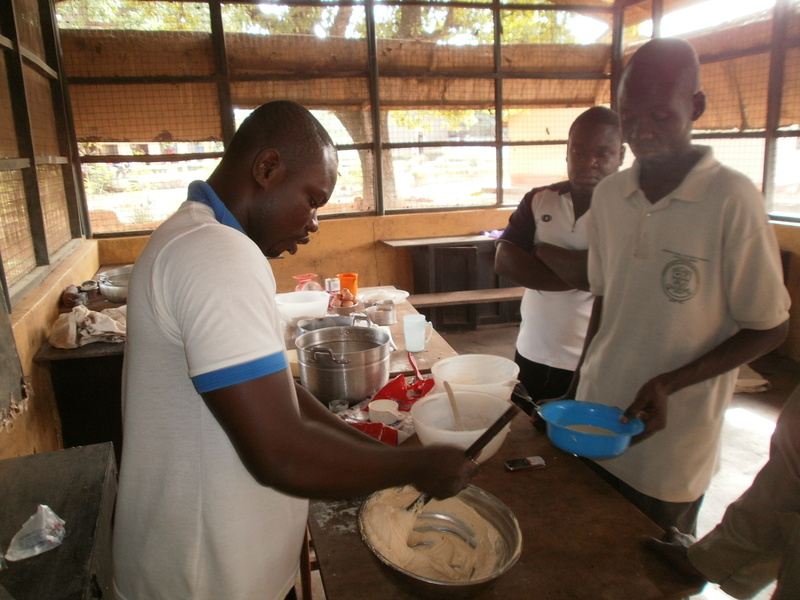 Ms. Gresku and Mr. Akoto implemented two large pilot projects with the Sandwich program students, garnering their feedback on the quality of the practicals, and testing out the idea of a pre-defined practical schedule with daily learning objectives. Their results showed 100% of students preferring practicals run with a schedule and pre-determined learning objectives. Mr. Akoto will be running a similar pilot during the 2013-14 school year to see if the typical (non-Sandwich) students also prefer the new style of practicals. In order for EWB to support the colleges in becoming centers of innovation and leading-edge training in extension, we need an increased understanding of where college staff members believe the certificate and diploma programs can be improved, and what ideas they have for improvement. Therefore, a Dreams Assessment survey was developed to determine the visions, ideas, hopes and dreams that college staff members hold for their institutions. It is intended to help EWB identify motivated lecturers and administrators, curriculum enhancement ideas that are already in the pipeline, areas of overlap across agriculture colleges, and general feedback on what interviewees would like EWB to focus. The Assessment has been administered at four of the five colleges thus far, and a final report will be available in November, 2013. To learn more about AgEx’s vision, mission and objectives, see this post. 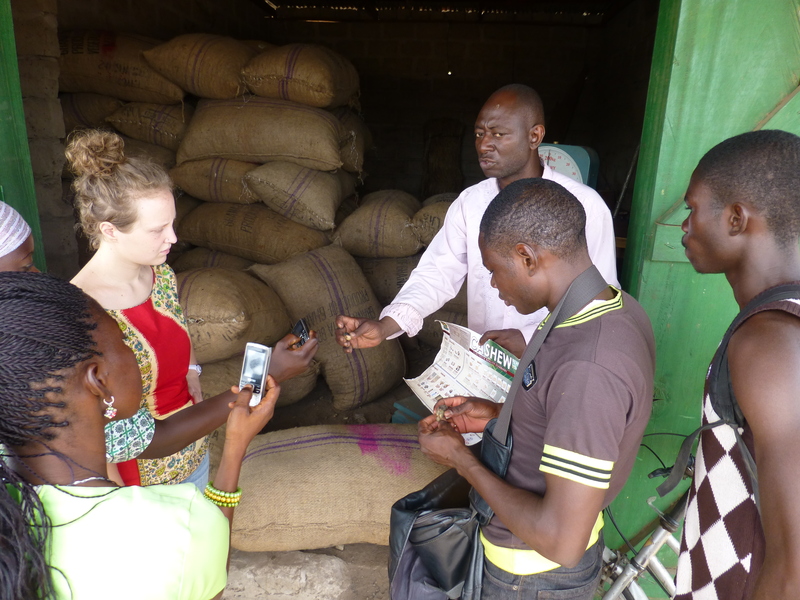 Thanks to Courtney Robinson, AgEx staff responsible for our work at Ghana`s agricultural colleges, for the details and copy on each initiative. Thanks so much Albert. I follow your career with interest and can`t wait to see what your future brings and how you will impact Ghana`s agricultural development in the years to come with your innovative and entrepreneurial spirit!